Puerto Vallarta, Mexico (November 29, 2018) - Casa Velas in Puerto Vallarta has a creative solution to extending the party for friends and family at a wedding. The resort offers pre wedding group activities with Mexican inspired arts, crafts and foodie activities that create more memories. Ever wanted to take a private baking class with a world-renowned pastry chef? 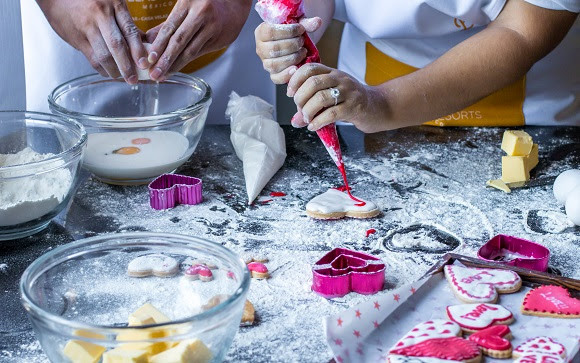 One of the new activities offers just that, as guests will find themselves learning to make traditional Mexican wedding cakes and cookies, known as biscochitos. Flavored with Mexican cinnamon and anise, the dough is then rolled and cut into stars and crescent moons. Guests can decorate them with hearts, the bride and grooms' initials, or any other wedding theme that they can think of. Symbolizing everlasting love and unity, an enduring Mexican wedding ritual involves el lazo, or a wedding lasso. The lazo, a string of flowers and rosary beads, is placed around the shoulders of the couple after the vows as the priest or deacon blesses the couple's marriage. The lazo's constant loop with no start and no end signifies the couples' everlasting love for one another. During this activity, the bride, her bridesmaids, mother of the bride/groom and women from her wedding guests will have rope and other accoutrements that match their wedding décor to make their own lazo for the ceremony. A truly personal and meaningful touch to the wedding ceremony, the lazo is the couples' to keep as a significant and emotional reminder of new beginnings and the unending circle of their love. Also offered will be private classes with the native Huichols, where guests will learn how to make traditional bracelets to keep as a personal memento of the wedding. The Huichols have long been imbued with the tradition of bracelet yarn work and beading, and their bright, vibrant patterns stem from their use of turquoise, coral, bone, jade, and seeds in their artwork. For more information please call 1-888-407-4869 or visit https://www.hotelcasavelas.com. Casa Velas is a luxury all-inclusive boutique hotel and ocean club for adults only, reminiscent of a Spanish hacienda. The hotel features a private ocean club and is just minutes from the beach. Located just five minutes from Puerto Vallarta Airport and only 15 from the popular downtown area, art galleries and "El Malecon" (the boardwalk), the hotel features 80 spacious suites, some with private pools and Jacuzzis. Nestled on the greens of Marina Vallarta's 18-hole golf course, the hotel offers guests complimentary golf at three nearby signature-designed 18-hole courses. Lotus Spa at Casa Velas encompasses treatment rooms for singles and couples, a hydrotherapy area, garden-view fitness center equipped with state-of-the-art exercise equipment, and a beauty salon. A novel service is a handbag bar where guests can enjoy use of a "loaner" designer handbag at no extra charge. Emiliano, the AAA Four Diamond rated a la carte fine dining restaurant, is in the hands of one of the area's leading chefs serving Mexican and international cuisine. Guests can also enjoy dining privileges at the sister resort, Grand Velas Riviera Nayarit, with three gourmet specialty options. Forbes Travel Guide has awarded Casa Velas Four Stars, the only boutique hotel on the Mexican Pacific coast to receive. A member of SLH (Small Luxury Hotels of the World), it has been in the top five in TripAdvisor for Puerto Vallarta since 2010. 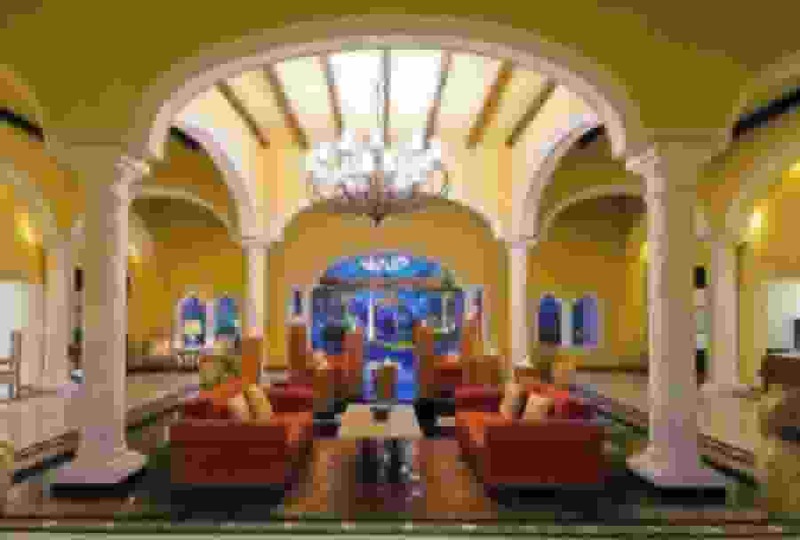 Casa Velas is operated by Eduardo Vela Ruiz, founder and president of Velas Resorts, with brother Juan Vela, vice president of Velas Resorts, by his side. 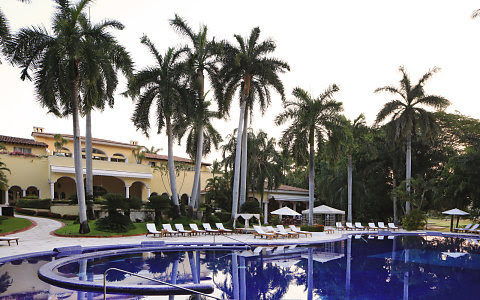 For more information please call 1-888-407-4869 or visit https://www.hotelcasavelas.com.